He had climbed to the top of the highest mountain to kneel at her feet. It had not been an easy journey. She had made it difficult. From the moment she felt him seeking her location, she had resigned him to misery if he wished to see the task completed. She could have traveled instantly, moved a world away in the blink of an eye, but after the trials she forced him to endure, it would have been cruel. He had been her friend, once. She sat in the center of the dais, legs crossed, head leaning forward, hands pressed together at her chest. The picture of a sage in calm meditation. If only her thoughts had matched the facade. Was it her imagination, or did contempt flash in his eyes? Why should she expect any less, after the trials of the journey? “One or two wouldn’t go amiss.” She flashed him an icy smile. No humor touched her lips. There were a few worlds she wouldn’t mind watching the chaos consume. No one particularly deserved her grace. Except, maybe, him. He hesitated. She shouldn’t have to remind him; he knew all the sordid details. They had raised her in glory, right enough. Stronger than any Destarian born before or since. Stronger than those of noble blood. They hailed her as hero before she learned to walk. Not only would she guard the destiny of many realms, one day she might shape them. Until her sixteenth birthday when all the words of praise washed away in a stiff wind. When the lightning struck and the storm began. Not one of them spoke for her innocence the night of the murder, though many knew what had happened. Convenient; that was the word for it. The old ways worked better. Things stayed perfectly the same without forward thinking mages like her. 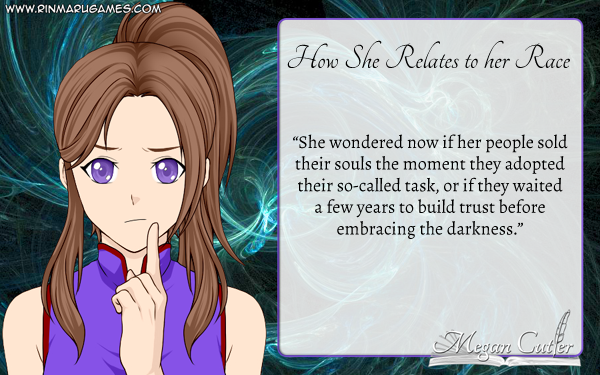 She wondered now if her people sold their souls the moment they adopted their so-called task, or if they waited a few years to build trust before embracing the darkness. Exile would have been bad enough, without the foul trick. “I thought you came to beg for mercy,” she sneered to hide her surprise. Hadn’t he come seeking peace? “Not for them.” There was unexpected venom in his voice. But then, he had as much reason and right to hate the Destarians as she did. They had enslaved his people, banished them from the better parts of the universe to keep it for themselves. And then raised their children believing the opposition were monsters summoned from the vilest pits of evil. Reianna clenched her teeth as she considered his words. She had been wrong so many times, what was one more mistake? But this time alone, she was loath to admit it. Check out what my writing partner came up with for this prompt! Author Beth Alvarez of Ithilear has also written a fabulous response for the mirror prompt!